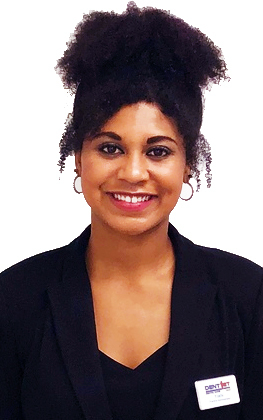 Yoshi Hooks is originally from Cleveland, Tennessee but she relocated with her fiancè after graduating with an undergraduate degree in Exercise Science from the University of Tennessee at Chattanooga. While at UTC, she played for the softball team. She was initially drawn to dentistry because she wanted to be a dental hygienist. After becoming a part of the team at Dentfirst in Johns Creek in 2017, she became interested in the business and insurance side of dentistry. After working at the front desk for about 6 months, she became the Benefits Coordinator at the Johns Creek office and is now the Practice Administrator. Yoshi loves working in dentistry because everyday is different and the field is constantly improving and changing. When she is not in the office, she loves to spend time with her dog Ivy and wedding plan with her fiancè William. She is getting married in September of 2019 and will continue to reside in Johns Creek.